The brand new Monaco 215 CX SP is a very powerful self-powered point-source system featuring 2 x 15” woofers plus a coaxial 3” diaphragm compression driver. 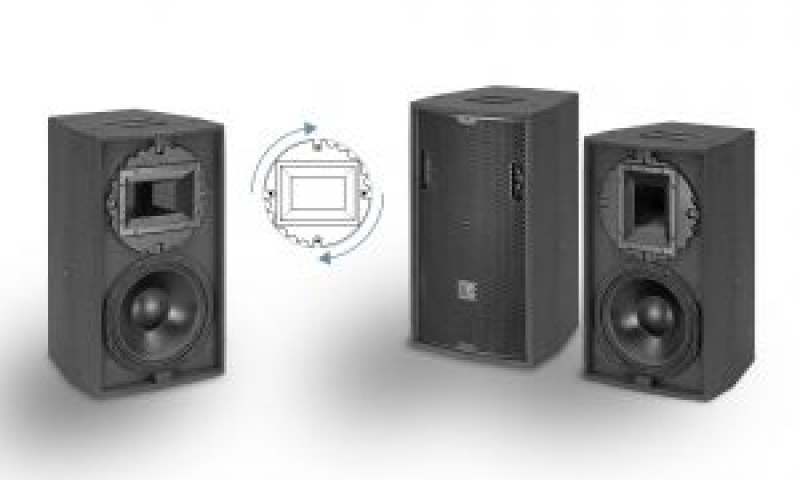 Uniquely configured as a ‘two-and-a-half’ way system, this loudspeaker delivers audio performance approaching a three-way design with extended low frequency. The built-in amplifier platform with four selectable EQ presets and input gain enables to use this enclosure as part of a plug & play solution. The maximum available power from the amplifier module is 2 x 1500 W EIAJ at 8 ohm, 6000 W peak (total). The SPL is 140 dB (peak @ 1 m). Monaco is also available in passive version (Monaco 215 CX). 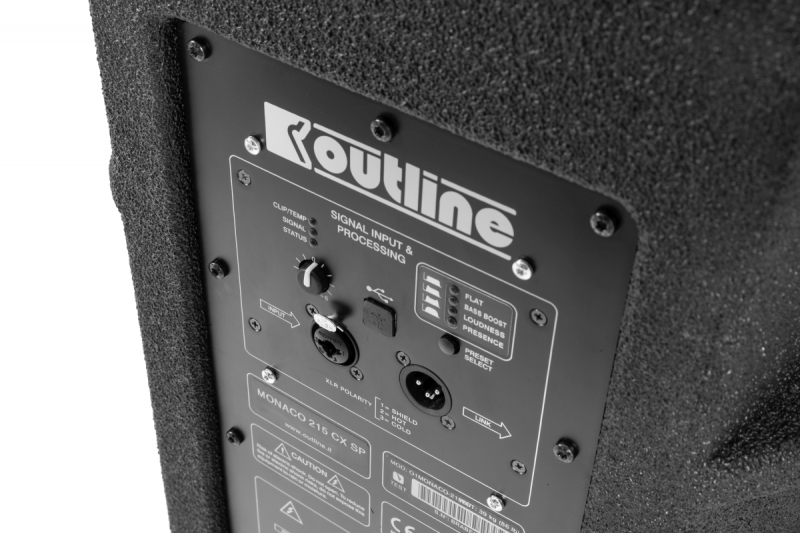 Thanks to Outline’s exclusive internal crossover designs it can be driven by a single channel of amplification or can be bi-amped using two amplifier channels to drive the co-axial LF and Mid / HF sections separately. 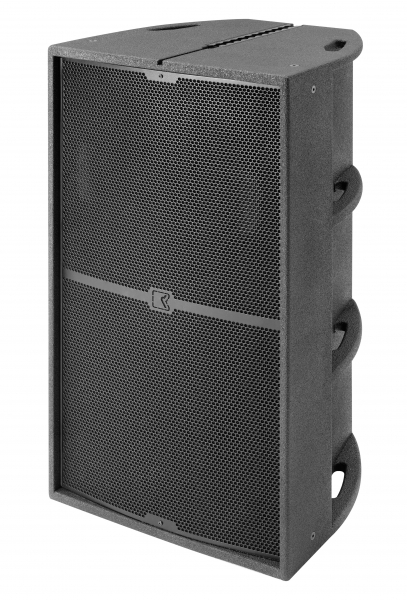 The Ki-Series is an application-flexible compact loudspeaker concept designed for a broad range of installed applications. Both models (the Ki-12 and Ki-10) maximise efficiency and cost effectiveness with internal crossover networks, a small footprint, integral mounting points and very high SPL capability. Both products also feature another Outline first, a brand new design of rotatable waveguide. 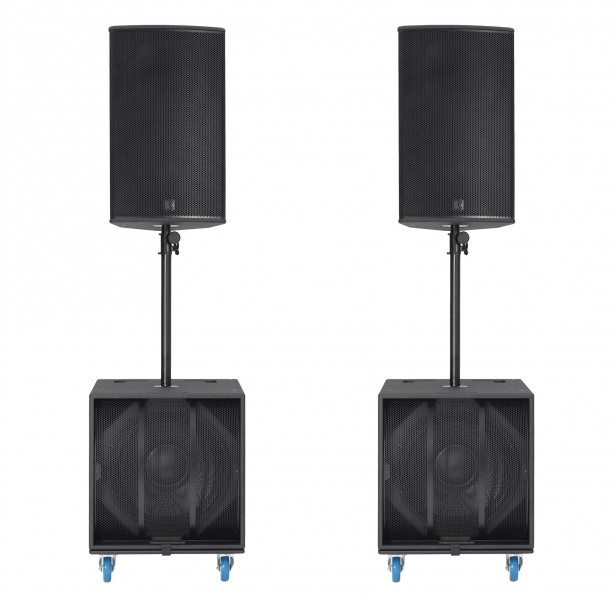 Many comparable loudspeakers offer this facility but Outline’s Ki-series are the first to allow the installer to quickly and easily rotate the entire horn and HF section without any disassembly of the loudspeaker. This piece of original engineering offers a real advantage in small rooms or those with low headroom, as the HF horn can be quickly adjusted to ensure the required dispersion (100° x 50° or 50° x 100°) regardless of the orientation of the cabinet. 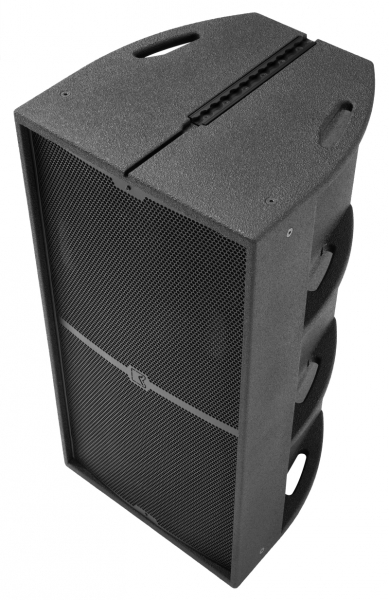 V10 / V15 KITS | A compact and cost-effective PA that really delivers! 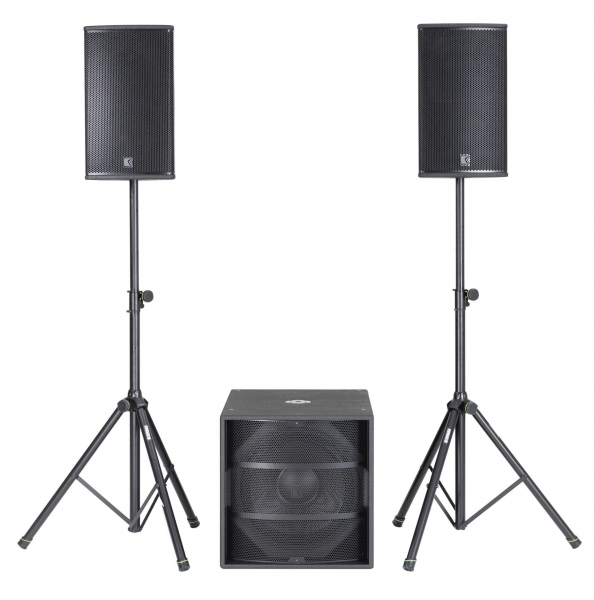 Outline’s V10 and V15 kits are thoughtfully-conceived and highly cost-effective sound systems designed specifically for musicians, DJs, presenters, lecturers, entertainers and anyone who transports and operates their own audio equipment. Comprising either one or two powered subwoofers which also contain the amplification and processing for the satellite speakers (from Outline’s well-established Vegas range), these portable setups deliver up to 12kW of audio power while retaining the class-leading audio quality for which Outline is justly recognised (learn more at solutions.outline.it). The extraordinary Newton’s development process continues, focused on offering system technicians around the world the ultimate in whole-system management quality and flexibility. Outline have recently announced the immediate availability of v.93 firmware for the patent pending Newton digital hub, in addition to software version 1.8.2 for their proprietary ‘Dashboard’ remote control application. 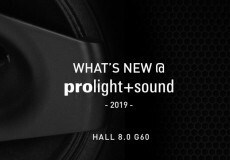 This is the latest operational upgrade following the successful launch of Newton at prolight+sound 2018 and is largely based on input from Outline’s international group of Newton users, who have thoroughly road-tested the units in a wide variety of applications.